It is so easy to fall in love with a spirited dancer. Or a passionate artist. Or a devoted musician. One who loves her craft gains in charm, attractiveness, beauty. Parinayam illustrates this point beautifully. A young widow meets a Kathakali artist, is charmed by his affections. Then she sees him perform on stage, falls in love. One night, he is the valorous Arjuna. The next night, he is the charming Nala, then Bheema. Each character mightier than the last, glorious and resplendent in warrior finery, commanding the stage and the audience with his mighty presence. How can one not fall in love? Zakir Hussain was voted the sexiest man in India. It may be speculated that his boyish charm, curly locks and playful genius are probably the reasons why he got the highest number of votes. I think it’s something else. I think it’s the passion he brings to his performance, the joy that courses through his fingers and tickles the audience, and his obvious devotion to his art. 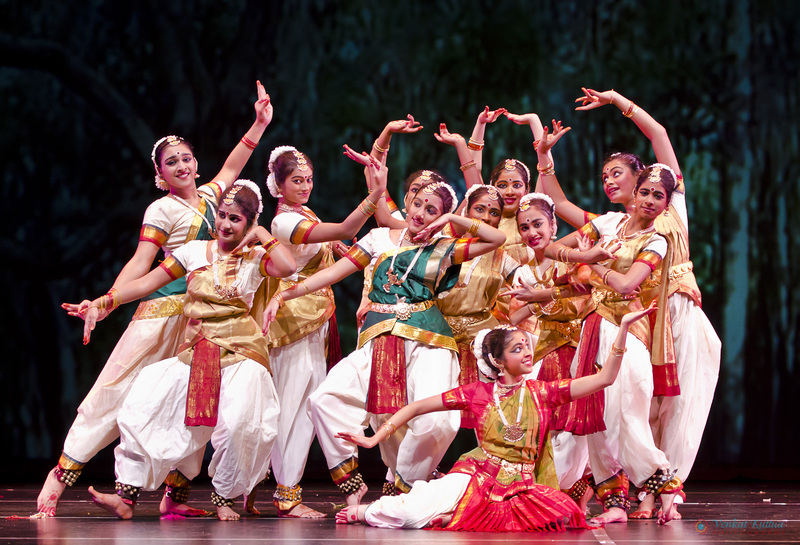 As a dancer ascends to the stage, one step after another, a transformation takes place. She is no longer Lakshmi, a thin girl with straight hair and a gummy smile. She is something bigger, grander, magnificent. As she dances, hardly anyone recognizes her. For she is something else entirely. A confluence has happened between the artist and the craft, and what fuels this union is passion, devotion, commitment. The whole world loves a lover and what unfolds on stage is pure love. For nothing else can result in such artistry, such beauty… a true lover is devoted, dedicated, tireless. And only when one is in love with one’s art can such magical moments emerge. So magical that even the onlookers are transformed beyond words. And everyone walks away, a little changed, a little unsure about what happened. Yet no one can deny that that was an act of love they had just witnessed. To me, Kathakali is the quintessential example of artist metamorphosing into the Divine. 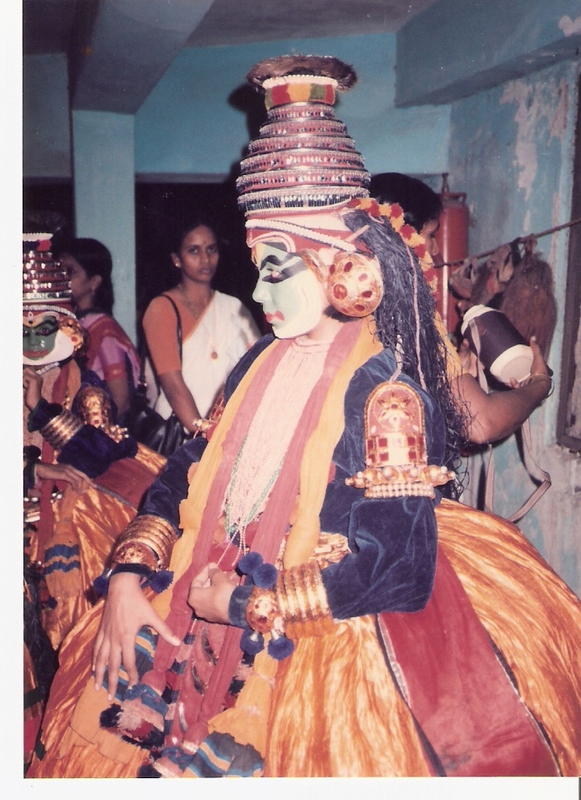 I learned Kathakali for a number of years, performed on stage. I played the role of Shatrughna, the brave prince who challenges his own nephews, unaware of their identity. I played the angry Dusshasana who dies at the hands of Bheema, a warrior who gains superhuman powers and avenges his wife’s dishonor. Then there have been other roles… And it wouldn’t be an exaggeration to say that I stepped into each role knowing that I was walking into something much larger than I could imagine. And I walked away from each one feeling a sense of awe. Like I was in the presence of something spectacular, magnificent. Like I had touched the soul of the Divine, experienced such oneness and totality in my character. Like I had lost sight of little me and became the One. If that isn’t love, what is? And if that isn’t meditation, what is? An old post about Parinayam – http://locks.livejournal.com/151589.html.